An informal coalition of NGOs monitoring the implementation of the Association Agreement (Chapters on Democracy, Rule of Law, Human Rights, Equality and Environment Protection) since 2014, welcomes the report of the European Parliament of November 14th, 2018 on the implementation of the obligations undertaken by the Agreement by Georgia. 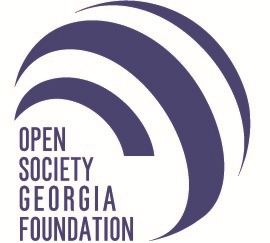 The presented report critically assesses the state of Georgia’s democracy and addresses challenges within the EU integration process. It is of crucial importance that the findings presented in the document are duly assessed and addressed by the Georgian authorities and properly considered while planning future reforms. The coalition welcomes the positive findings of the report in the sphere of rule of law and human rights. The report underlines steps taken by the Georgian authorities regarding the protection of labor rights, including the adoption of the Law on Labour Safety. It is important that Georgia has ratified the Convention of the Council of Europe on Preventing and Combating Violence Against Women and Domestic Violence. Adoption of the Environmental Impact Assessment Code is also of great importance. Notes the implementation of the ECtHR judgment of 28 November 2017 in relation to former Prime Minister Vano Merabishvili, and stresses the importance of a clear, transparent and human-rights based policy and mechanisms for investigating, prosecuting and compensating human rights violations committed during previous administrations. Urges the Georgian Government to adopt a strategy for combating air pollution and takes note of the plan of the Georgian Government to further develop hydropower; calls, in this context, on the Georgian authorities to adopt and comply with EU standards in all of the projects and, in particular, to apply an open and transparent Environmental Impact Assessment procedure involving all the relevant stakeholders in the main stages of the decision-making process . The Parliament of Georgia to ensure a more effective supervision of the process of implementation of the obligations taken under the Association Agreement in the spheres of rule of law, justice, human rights, equality, social, labor rights, and child rights.